What is " Good " Soil? If you are engineer, you like soil that drains well or compacts easily to bear weight. If you are a farmer, you want soil that is fertile, easy to till, and soaks up water without runoff. If you are a tree… well, what does “good soil” mean to a tree? 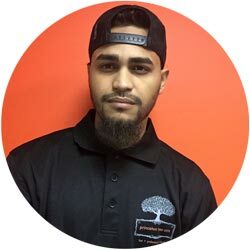 Trees are plants, and plant roots need water, oxygen and nutrients. Yet trees grow all over the world in a variety of soils, including dry, compacted, nutrient-poor soils often found in urban areas. 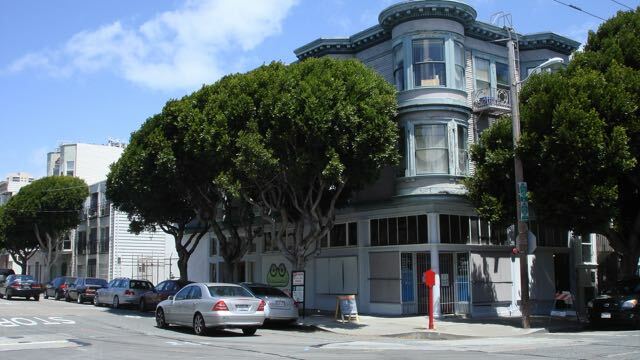 Many urban trees are surprisingly successful in what we would consider poor soil conditions. Clearly, the definition of “good soil” can vary widely depending on many factors. We may not all agree on the definition of “good soil,” but we certainly can understand it better by analyzing its various properties. Once we know what we have, we can then be better equipped to improve it – or conserve it – for trees and plants to be successful. Below we consider just a few properties of soil. 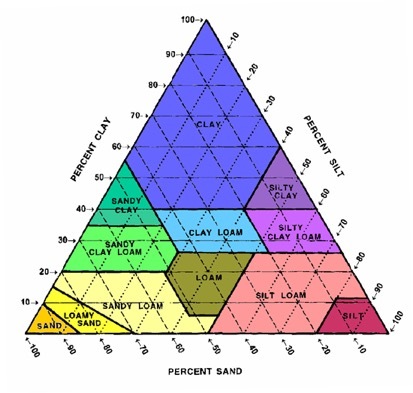 Soil texture is the percentage of sand, silt and clay particles a particular soil has. Sand particles are large, visible to the naked eye, and make soil feel gritty. Clay particles are microscopic and make soil feel smooth. Silt particles are of intermediate size between sand and clay and make soil feel slippery. Horticulturally speaking, there is no “bad” soil texture – plants grow in a variety of textures – but understanding soil texture helps you make informed decisions about plant choices, irrigation design and soil improvement measures. A sandy soil will have good drainage but less water- and nutrient-holding capacity than a clay soil. Clay soils can be hard to work and slow draining, but will be more effective at holding water and nutrients for plant roots to take up. 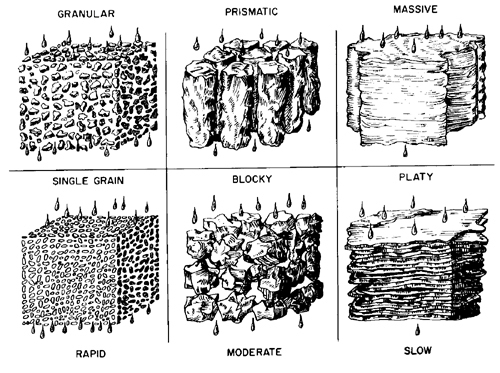 In any given soil profile, different layers of soil may have different textures, which affects drainage. You can determine a site’s soil texture inexpensively using one of two simple methods outlined in the Colorado State Extension website. Soil texture cannot be changed – it is impossible to sift out individual sand, silt and clay particles or to add enough of different particle to make a practical difference in the site. It is best to work with what you have. Soil structure describes how the particles in the soil hang together – or don’t – in clumps known as aggregates. From a horticultural perspective, soil structure can be “good” or “bad” and can also be improved or degraded by how we treat the soil. Good soil structure is soft and crumbly, with granular aggregates that hold together even in water. Soil structure can also be blocky, platy, columnar or structureless, such as a single-grain sand or a massive clay soil. Soil structure can be improved by the additional of organic matter – compost and mulch – and by preventing compaction and disturbance of the soil. 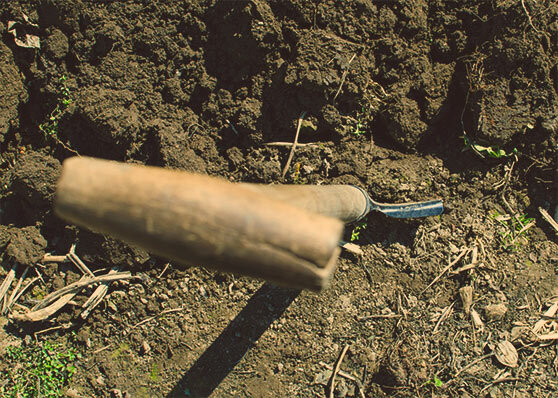 Tilling is a double-edged sword; although an initial tilling can help a compacted or poor-structured soil, repeated tilling destroys aggregates. 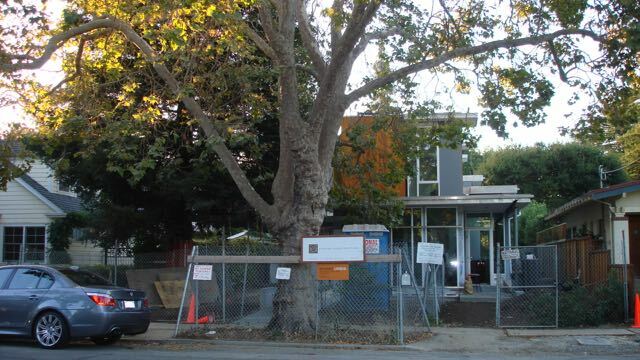 Depending on the site, the existing soil structure will either need improvement or be worth preserving. A simple, inexpensive test of soil structure called the slake test is outlined in a publication from the USDA Natural Resources Conservation Service (NRDC). Consult a soil science specialist for further details. Soil pH refers to the acidity or alkalinity of the soil. Lower numbers are more acidic and higher are more alkaline. The scale is logarithmic, so a pH of 6 is 10 times more acidic than a pH of 7, but a pH of 5 is 100 times more acidic than 7. Most plants grow in a pH of 6.5 to 7.0, (slightly acidic to neutral), which is also where soil nutrients are most available. “Acid-loving” plants may grow a pH as low as 5.5, and certain plants grow above 7.5, but the plant lists grow shorter as we get further away from neutral in either direction. While adding lime may raise pH or sulfur may lower it, these changes may be negligible at worst or temporary at best. 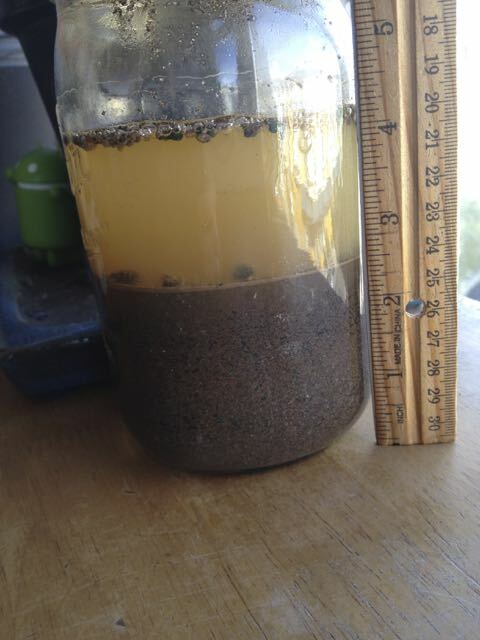 Lime or sulfur may be applied to the topsoil layer but will do nothing to change subsurface pH. In addition, clay soils have a high resistance to changes in pH (high buffering capacity) so more amendment may be needed than is practical. It is more advisable to choose plants adapted to a particular soil pH –a local horticulturalist can be very helpful. Soil nutrients important to plants include the macronutrients: nitrogen, phosphorus and potassium, as well as the secondary and micronutrients: sulfur, calcium, magnesium, iron, manganese, boron, copper, zinc and molybdemum. A soil lab analysis helps us understand more about the site soil including nutrient levels and pH. Bear in mind that nitrogen, one of the most important elements for plant health, is extremely mobile and a soil test will only give you a snapshot of the nitrogen levels present on the day of sampling. A competent horticulturalist can also get an idea of possible nutrient deficiencies (or sufficiencies) by observing the health of existing plants on the site. Is a nutrient-poor soil “bad”? Not to a nitrogen-fixing plant that can compensate by converting atmospheric nitrogen into a form that can be taken up by the roots. It’s all a matter of perspective. A soil profile analysis. Photo: Ellyn Shea. 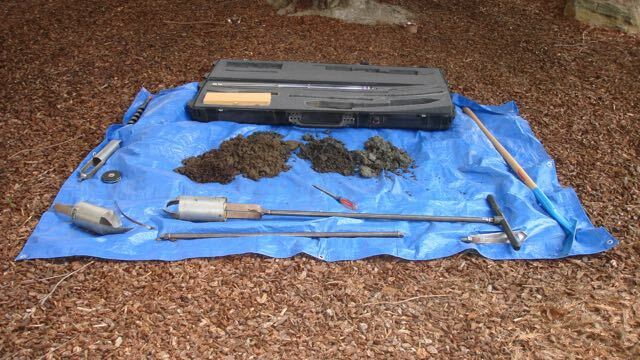 For a soil nutrient analysis, samples are typically collected using an auger or core sampler in the top 6 to 8 inches of the soil, where most roots grow. For a more or less homogenous site, collect more than one sample – a minimum of 10 samples per 1000 square feet and mix together to get a blended sample for testing. A larger site may need to be subdivided into smaller areas different depending on the characteristics or uses of each area. While collecting samples for lab analysis, a portion can also be field-tested for texture. To determine soil structure, collect samples from a larger hole or pit. For a soil profile assessment, collect samples with an auger in the top 3 to 6 feet, to get an idea of the properties of each soil layer, including color, texture, moisture level and amount of living roots found. 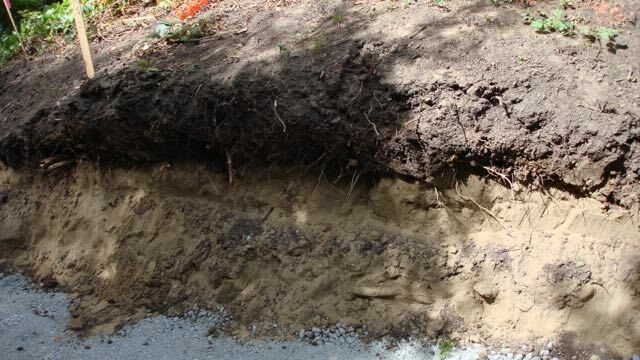 The layers underneath the “topsoil” can affect water drainage, oxygen availability and deeper root growth. In a soil profile analysis, the samples are laid out next to each other, not mixed, with careful notes taken about the properties of each sample at each depth. (measure the hole after each sample is taken). 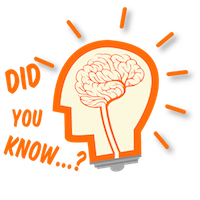 Fewer holes are dug than with a nutrient analysis, although more than one may be necessary. The terms “good soil” and “bad soil” are too often used without real understanding of what soil is – and what function is needs to serve relative to the tree and the project needs. In fact, soil is far too complex to be summed up as “good” or “bad,” and defaulting to those terms lets us off the hook for really knowing what we’re talking about. The more we understand about the soil in a given site, the more effectively we can conserve and utilize our precious resources – plants, water, and the soil itself. Materials provided by ELLYN SHEA. Note: Content may be edited for style and length.